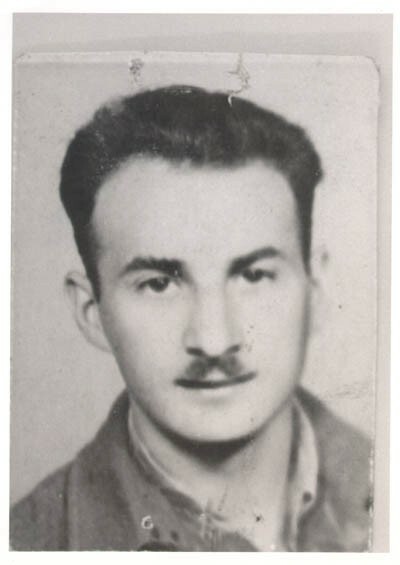 Aron in Budapest, 1945, while en route from Poland to Italy with Brihah, moving to Palestine. In Aron's words: "We got connected with the Brihah in Poland, got directions to go to Bratislava and on to Budapest. On our trip, we didn't know where we going from city to city, only our final destination." July 5, 1945, Budapest, Hungary.